I originally extracted this guest post from Kamal Jyoti Deka, who is a friend from school days. Kamal’s photographs from other Travels can be seen in his flickr account. But now I have updated this post based on my own visit recently and updated the information accordingly. The Hornbill Festival is an annual, week-long cultural extravaganza held every year in the first week of December in Nagaland. It is named after the Great Indian Hornbill bird abundant in the region. Nagaland, is practically a land of festivals with each of their numerous tribes celebrating their own festivals and to promote the rich cultural heritage, the Govt. 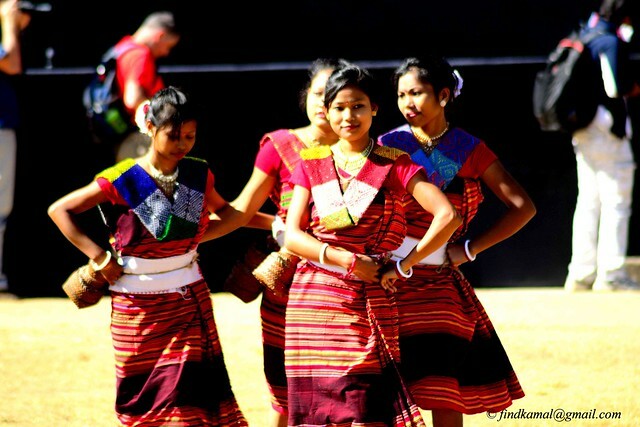 Of Nagaland organizes the festival starting on 1st Dec, the Nagaland Formation day. Fondly called the “Festival of Festivals”, the annual event was conceived as a tourism promotion activity at Kisama, (which is about 10 kms from the capital Kohima). The location is called Naga Heritage Village at Kisama, where one can enjoy the Naga lifestyle and culture, food, music and tradition of each of those 18-20 clans, all at the at same place. 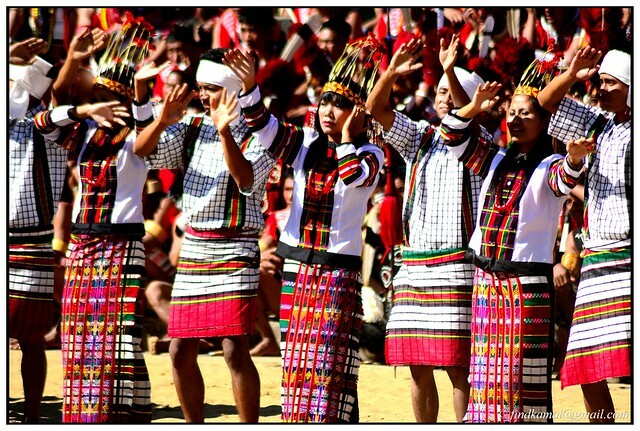 Besides the usual showcasing of dance, music, art, ethnic foods, handlooms and handicrafts of various Naga clans, many other eccentric contests and activities are organized such as, King Chilly Eating Contest, Pork Fat Eating Contest, Martial Art Contest etc. What are the dates for Hornbill Festival, 2018? Where to Stay at Hornbill? Where exactly does the Hornbill Festival Take place? How to reach Kisama Hornbill Festival Venue from Kohima? What to see around Kohima apart from the Hornbill Festival? 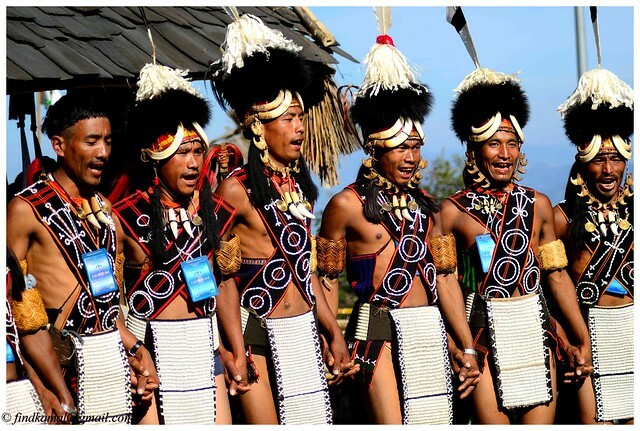 Like every year, this time also Hornbill Festival is happening from December 1-10. 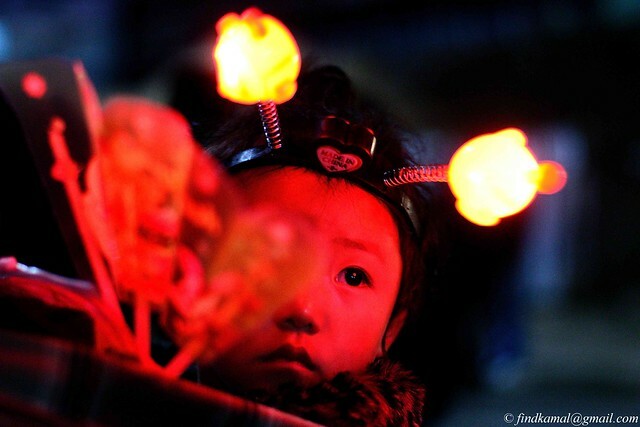 Winter is mildly chilly but pleasant in Nagaland in December and the Christmas markets will be glowing already. If your dates are not matching, don’t worry, there are a lot of other festivals you can attend in India. Here is a month-wise list of Indian festivals that you can attend as per your dates. As you must already be knowing, Indian tourists need to get inner line permits (ILP) for Nagaland. Interestingly, the same is not required for the foreigners (in an effort to encourage tourism). You can get the permit at designated offices in Delhi, Guwahati, or at Dimapur on arrival. If you could not make it earlier, the best way is to reach Dimpaur and visit the DC office as early as possible, so that you get sorted by noon. You need valid ID and photographs. The process is not very strict for tourists and I have seen that they become leninet during the festival as nobody asked for my permit on the road. Preferable way for reaching Kohima is to take the train or flight to Dimapur and then take a bus or rent a taxi to Kohima. You can take the Delhi to Dibrugarh Rajdhani Express via Guwahati or many other local trains or night buses from Guwhati. The trains take around 5-6 hours to reach Dimapur. Dimapur is the border district between Assam and Nagaland and also a major commercial hub. It used to be the capital of ancient Dimasa Kachari Kingdom. The Dimapur taxi stand is adjacent to the railway Station. Taxis can be hired with other passengers (shared taxi) or exclusive (full taxi). One way fare from Dimapur Station to Kohima will be about 200/- per person for a shared cab or around 100 Odd on the state transport bus. The bus is more likely to drop you at the ST bus stand. 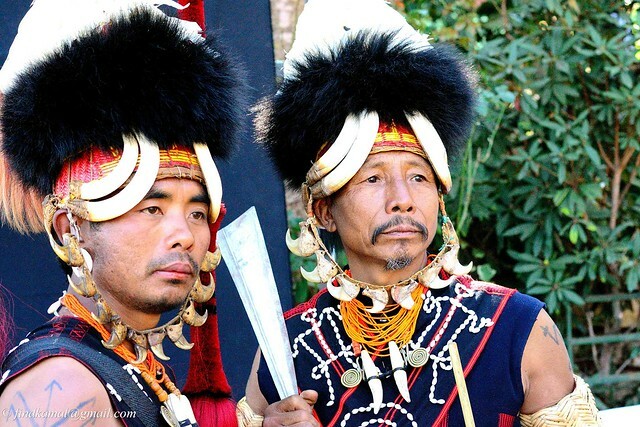 During Hornbill Festival tourists from all over world flock Kohima and it can get crowded. ALso, Nagaland in general is a bit costly. There are many hotels and homestays in Kohima city but they will be pretty expensive. But the most popular stay option is to camp around Kisama. These are not permamnt places but various camping companies set up these tents during the festival where you can spend aroind INR per person or more. Also, a few local guesthouses or homestays have come up in the nearby areas of late. I personally stayed in one called Vicha Paying Guest in Kigwema and had a good experience. In general, it can get expensive unless you are in a group. The designated Hornbill Festival venue is the Kisama Heritage Village. Daily performances begin by 9 a.m. each day. One can easily book a taxi (mostly Maruti Van, Alto, Maruti 800 etc. are available on sharing basis) from Kohima to get there. Buy entry tickets at the gate and pass through the security check. It is winter in the North East. One may feel little hot on the bright sunny days on the top of the hill but it is always advisable to carry the jacket/sweater along with since the day ends very soon and by 3 pm the sun disappears behind the hill. The Dimapur bus generally drops you at old ST bus stand. However, the shared cars to Kisama and other nearby villages are available from Network Travel AOC Bus Stand, which is a few kilometres away. Ask for “Network Stand” or “AOC Bus Stand” and any locla will guide you. You can take local shared cabs or buses to reach it. You will see yellow coloured vehciles waiting there, going towards different villages such as Kisama, Kgwema, Zakhama, Viswema etc. 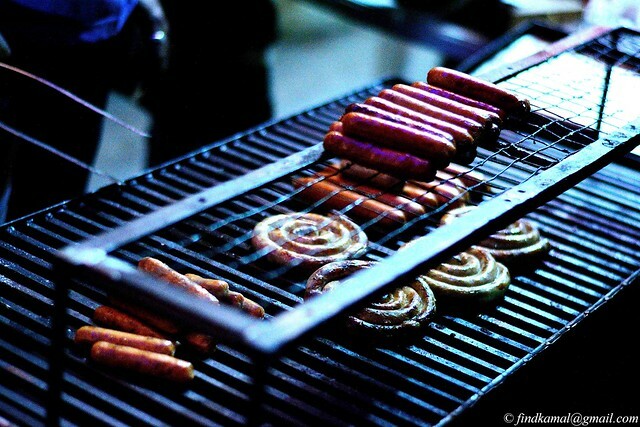 Basically this colourful festival is a foodie’s paradise, especially for the carnivorous ones. 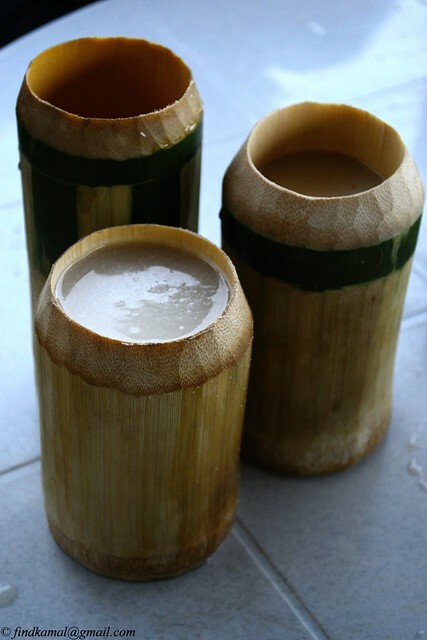 One can try all kinds of Naga traditional food. 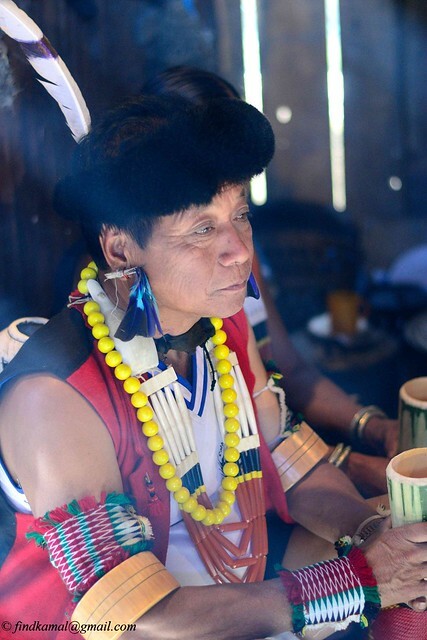 Tourists are welcomed warmly to the traditional huts of each tribes, where you can sit with with the elderly people of the tribe and interact with them, (even language is not a barrier, younger generations understand English and can translate for you. Due to my mother tongue, there was no issue with communicating Nagamese (Naga+Assamese). 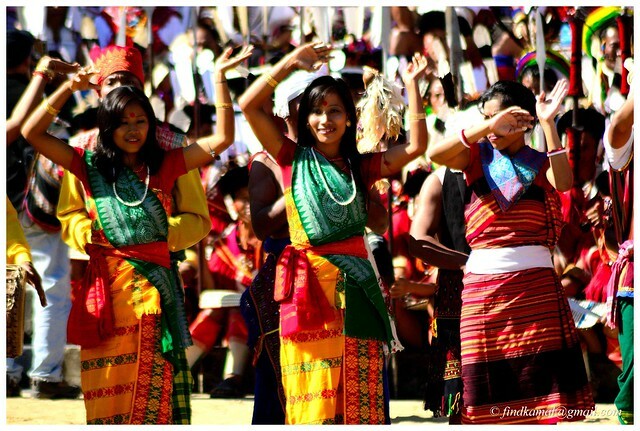 Nagamese is the common lingua franca in Nagaland among different communities who all have their own dialects. 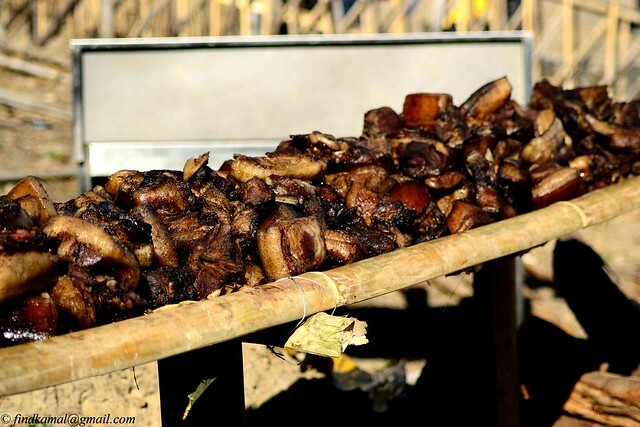 One can take part in various contests such as Naga chilli eating, pork eating contest as well. In fact it was an Israeli national who beat the locals in chilli eating contest. The local rice beer is a hot favourite while some also come up with a very eclectic wine (not sure what it is called but you will find it if you try enough). Hornbill is a great place to explore and enjoy diverse culture of this region. Do note that there are several different clans of Nagas such as Angamis, Aos, Konyaks, Sangtams, Zeliangs, Sangtams, Lothas & many more, all having their own languages, culture, apparels, and more importantly headgears. The ethnic and cultural diversity here is mindblowing and while they live in different parts of Nagaland, this fetsival is where you can see them all together. A serious explorer of ethnography and culture will enjoy this, and so will an average visitor. The contests mentioned earlier are organized on different days during the week long celebration. Along with that different tribes performs their traditional dace and music and it is a spectacle not to be missed. 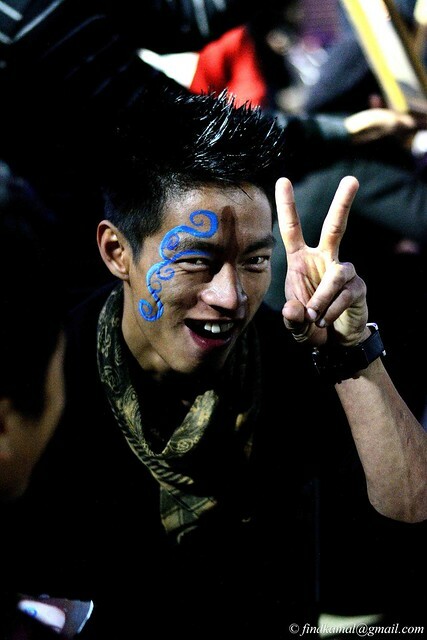 Performers from other North Eastern states also participate there with gusto. showcasing the incredible ethnic diversity of the region. If you are looking for something contemporary, you have the Rock Contest where many band from across the nation fight it out for top honours. Muscular Konyaks always win the tug of war at Hornbill. Also, music is an integral part of the festival. Western music has always been very populat in the entire Northeast in general and a Rock Concert is always expected here with a lot of bands from all over the region taking part. A beauty contest or fashion show can also be expected as the youth in the region do like to keep up with the latest trends. 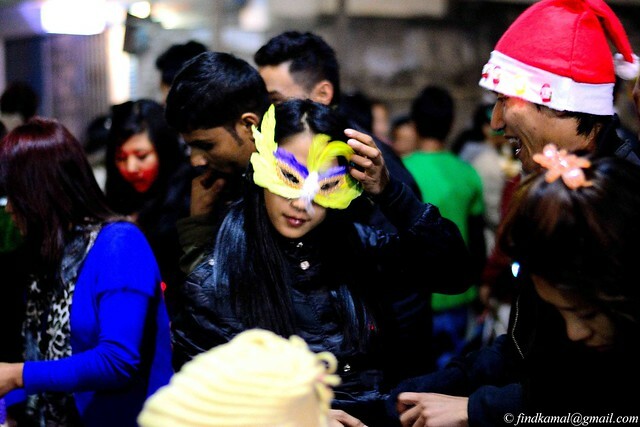 There are several things you can do around Kohima apart from the festival. Dzukou is probably the best short treks in the entire Northeast and the trekking point is barely 20 KMs from Kohima city and barely 10 Kms from Kisama Hornbill venue. It has one of the most unique landscape with no parallels. Read this post for more info about Dzukou Valley Trek. Kisama itself has a WW II Museum that stores remains of the great war. The WW II cemetery in Kohima is also pretty famous. The Battle of Kohima was one of the most epic battles in the eastern theater. Red this post for a List of WWII related sites in the Northeast India. Various small villages around Kohima have become tourist attractions on their own right for various reasons. 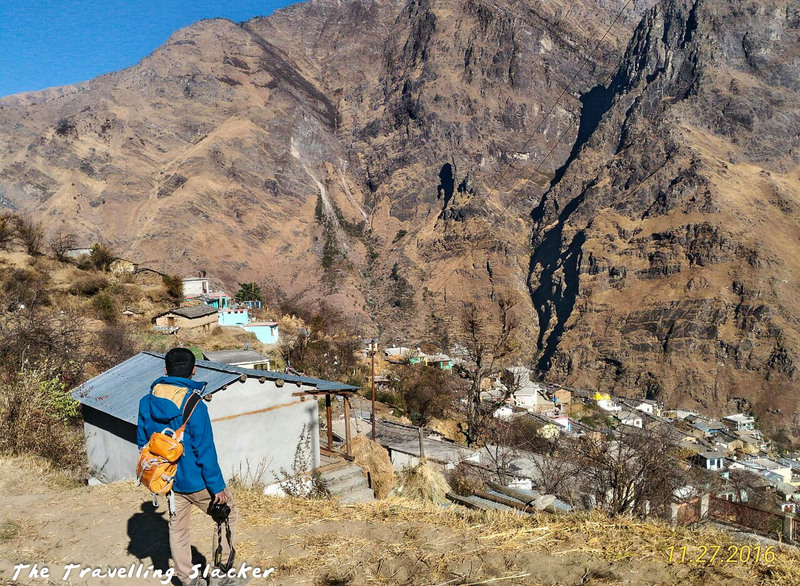 Villages like Khonoma, Touphema, & Dzuleke, located in the 20 Km radius of the city, are must for all travellers. For more details, read this post about places to see and things to do around Kohima beyond Hornbill Festival. Pfutsero was the most unexpected discovery for me last year. It is located in the neighbouring Phek district, around 60 KMs from Kohima and only 40 Kms from Kisama. It is the highest and coldest town in Nagaland and you can go for a short hike to the Glory Peak, the highest point of the town. But the highlight of my visit was the cherry blossoms that had turned the trail pink, and yet nobody had ever told me about that before! Read my Pfutsero Travelogue for more details. Apart from that, you can enjoy the exciting Night Bazar where you can find all kinds of stuff and during the festival they make it the Carnival Night out there. Also, as Christmas will be approaching, it will also be the most festive season in Nagaland, which is a predominantly christian state. Lot of useful info. Great pics too! 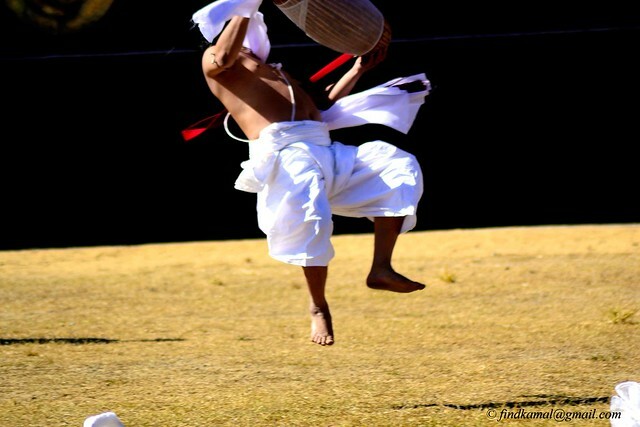 Jitaditya, Great post on Hornbill Festival, Nice photos.Thanks for sharing. Very informative. The festival looks so colourful and vibrant. Nice to know about the festival and see all these pictures. 1.Do you have any contact information of any budget hotel/hostel/guest house/homestay in Kohima and 2. if we carry our own tent,are we allowed to camp for a night or two in Kisama heritage village? 1. I stayed at my friends place who was posted in kohima. So sorry that i dont have any contact, but i remember i did contact one guy about dorms availability …i got his no# from internet only, if you search you will get it. and they do advance booking. 2. Now a days they dont allow you to sleep in the heritage village compound. There were some cases of drug and some other issues u can imagine and they stopped allowing people to stay whole night there….but u can request to stay with the tribes.